Dinner: The Playbook ON SALE TODAY! 1. Dinner: The Playbook is the physical manifestation of her list-making, organizing, lift-you-up-and-get-it-done personality. 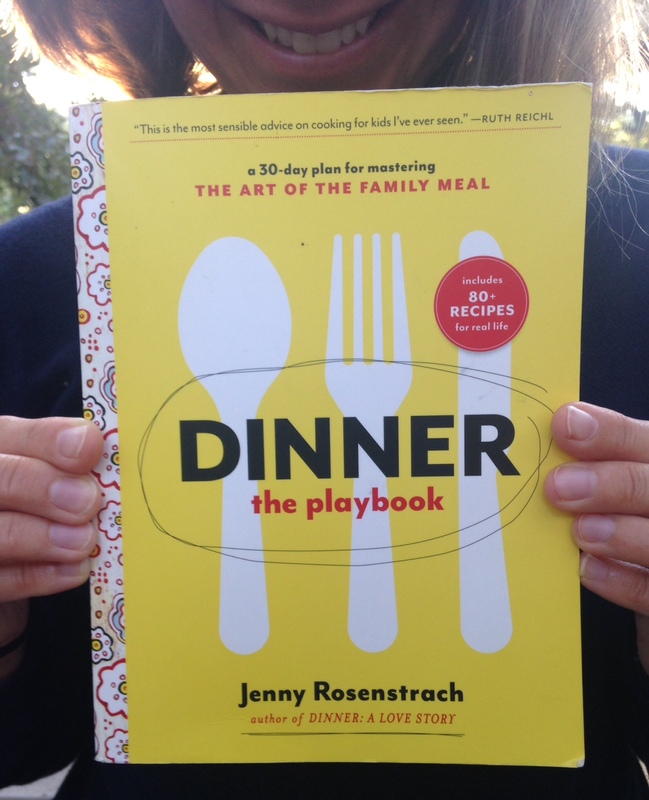 If Jenny’s first book was part cookbook, part memoir, this book is straight-up battle plan: If you want to turn family dinner into a regular — and edifying — part of your day, The Playbook will show you how. I am here to tell you that it works, and that I am grateful for it every day of my life. 2. The recipes are all good, and I can say this because we eat them ALL THE TIME. These are not recipes that Jenny dreamed up for some book about family dinner. These are our go-to meals, they are simple and tasty and time-tested, and except for the Crispy Rice Omelet (our kids still loathe eggs with a scary intensity) and the Zucchini Fritters (you know how I feel about zucchini), we stand behind all of them, 100%. 4. It’s a deal. Twenty bucks (sometimes less) for 80 recipes, 60 color photos, 220 pages, countless tips and fun little hand-drawn design-y things throughout? Considering that I dropped 30 bucks yesterday at lunch on a basket of mini corn-dogs, two Shirley Temples, and a flaccid chicken wrap, I consider this money well spent. 5. Don’t take my word for it. Listen to Deb Perelman, of Smitten Kitchen, who knows a thing or two about food: “This book is for anyone who loves the promise of a home-cooked dinner but gets bogged down by the day-to-day reality of it. Which is to say that this book is for me, me, me. And I bet it’s for you, too.” Or no less than Ruth Reichl, who stares hyperbole square in the eyes and says, “This is the most sensible advice on cooking for kids I’ve ever seen.” Ever, people! Ever!!! 6. Lovable does not mean cheesy. I spend a scary amount of my life staring at books, and I just love the way this one looks, love how much care and thought and quality-control went into its creation. Over the course of the past year, Jenny enlisted a bunch of talented friends to help make this book true to the DALS brand, from the illustration on the spine by the awesome Gina Triplett, to the cover and unusual and inspired interior design by Kristina DiMatteo, to the editing by longtime colleague Jennifer Tung, to the interior photos by, yes, Jenny Rosenstrach. Every word, every sentence, every picture, every Weekly Meal Plan, every Dinner Report Card waiting to be filled out by you, every hand-drawn border and color choice in this book, was made, by Jenny, for a reason. 7. It’s dedicated to YOU. This book, this blog, would simply not exist were it not for you — as readers, commenters, supporters, book-buyers, word-spreaders, recipe testers, dinner cookers, and friends. So, a million times: thank you. 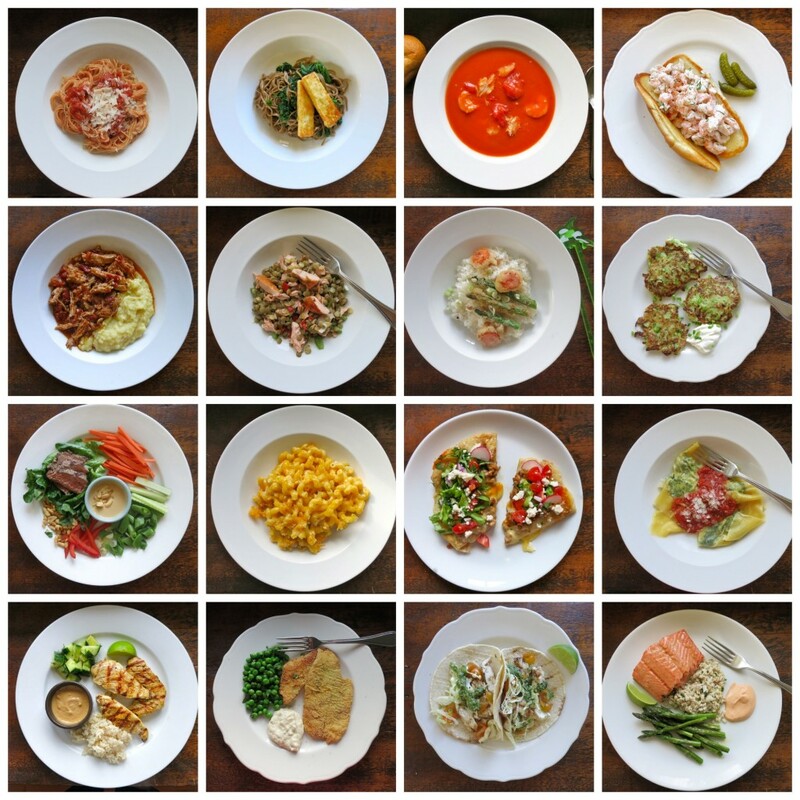 Don’t you already feel more organized and prepared just looking at this grid of ridiculously easy dinners? I have eaten them all, and they are good. And aren’t you dying to know what the heck this means? 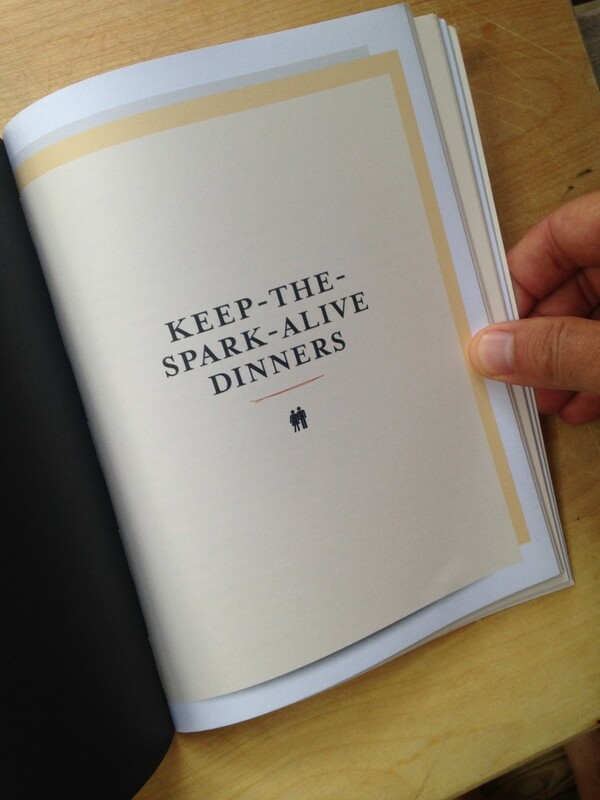 Dinner: The Playbook is available from Amazon, Barnes & Noble, Indiebooks, and Ballantine. P.S. First Time Here? Come on in! My pre-ordered copy is on its way from Amazon and I can’t wait to have it in my hands!!! Book is “out for delivery” and grocery list open and ready to fill in — can’t wait! Got mine yesterday and started reading. I’ve already started planning! Amazon preorder will be waiting on my doorstep tonight. More excited about that box than the Nordstrom box that is coming. I almost took a picture of the “your pre-ordered book is on its way!” email from Amazon that came last night to post on Instagram, but I restrained myself. So excited! Congratulations and thank you! Amazon says my pre-ordered copy is being delivered today. My ears perk up every time a truck goes down the street, hoping it’s UPS! Mine is on it’s way today!!! I am so tempted to go home on lunch to get it off of my doorstep I can’t stand it! Buying this book for 2 reasons: 1. My family loves your recipes, they seem to magically like anything you come up with and 2. I love that you had a passion and followed it and you’re building something that your whole family is a part of, I really admire that. This post makes me happy! Looking forward to my Amazon box arrival today! Can’t wait to get home from work and find this on my front porch. Hooray! Thanks, Jenny. I have been looking forward to this day all summer. I was surprised that mine arrived yesterday. Made my way through the introduction on the Metro this morning and look forward to trying many of the recipes, perhaps giving my stained and shredded (much-loved) copy of DALS a rest. I am going to sit on my front step until this arrives! So excited and just what our family needs to ground our back to school craziness. I pre-ordered, so hopefully it is waiting for me at home. I can’t wait! I’m planning to get copies of this for people in my family. Mine shipped yesterday and I CANNOT WAIT! I made a space next to the 1st DALS cookbook that sits in the kitchen and not on the book shelf. I bought three copies of your first book and am waiting for Amazon to bring a copy of your second book any minute now! Congratulations on your publication! Any chance we could write to you to get you to sign some bookplates? I put this book on my amazon wishlist (my mother-in-law loves buying me cookbooks, and my birthday is three weeks away)….but this is killing me. I should’ve just pre-ordered! My copy has arrived! Just sitting down to start reading. Congratulations! 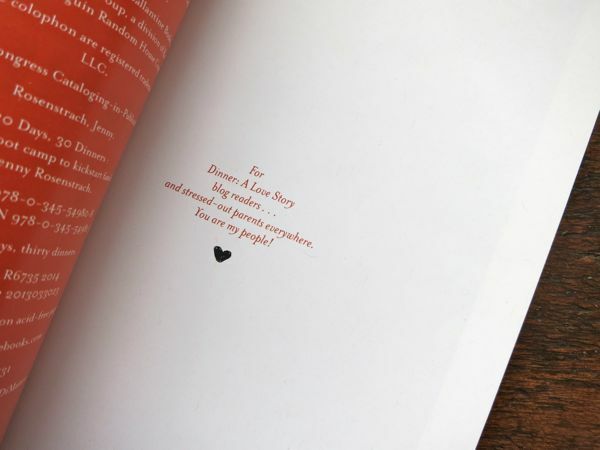 Honestly, not even sure how I initially got to your blog; however, I”m in love with it and the new book looks wonderful! Seriously makes me wish my kids were young again so I could use the books “in the trenches”! Congrats to you both! Congrats Jenny! I’m holding the book in my hands and I think the word “lovable” is spot on. If the recipes are anywhere as good as they have always been on this blog then I know I am going to “love” it even more! I just got home to my pre-ordered copy on my doorstep! Wheee! SO excited! Thank you for keeping it real for working parents and picky kids everywhere. Really. Thanks. I feel heard. haha LOVE this post. and what a cute photo of jenny! the book has been amazing for our family, truly; we’ve made a bunch of the meals and it has been so great and well received by our boys (and us). adore you guys!!! I’m so happy to see you and all your work getting all this love. So many of my friends posted this link today on FB and I’m proud to say I introduced all of them to the magic of DALS. Congrats and cant wait to dive into this book like the last one. Thank you everyone — and yes, @joannagoddard, I tend to look the cutest when there is a book in front of my face. Such an exciting day, in no small part because of the DALS community and all your personal messages of support and gratitude. And don’t worry — I’ll be back to regularly scheduled programming (not “All Book All the Time” mode) very soon! Thank you, thank you, thank you! I just received mine today and I don’t know what I want to make first. 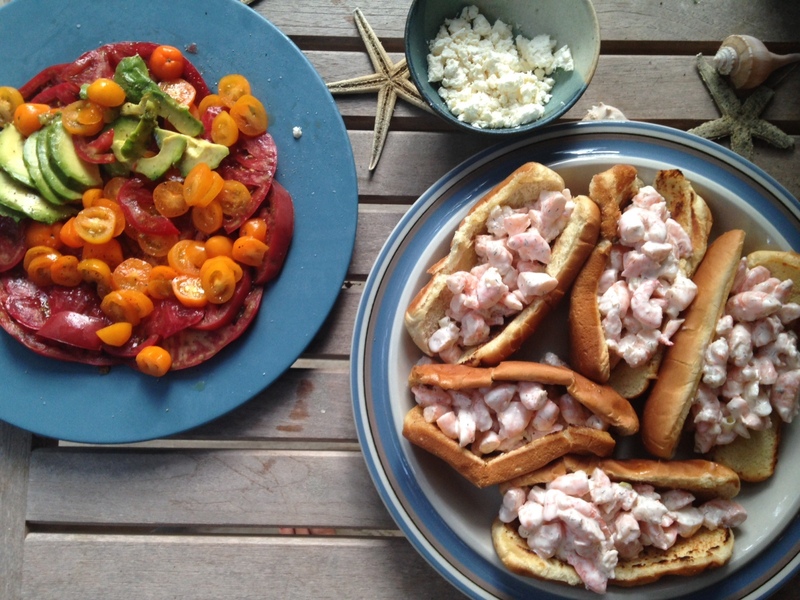 Your blog and books make dinner feel not only possible but possible and sure to be delicious. I’m in New Zealand! I want your Book! How can I get it? Amazon? Welcome home and congratulations! I’m genuinely excited for you. What a great post by Andy; I linked to it in our giveaway post. Not just because it’s informative, but also is a nice representation of why this blog is like sitting around the table with friends. It’s absolutely a book to love and to use the crap out of. Love this post. Andy does excellent pr! Can’t wait to get my hands on the new book and get some new dinners into regular rotation. Good luck on tour! Sweet post! I’m such a fan of the book, and have already designated many of the recipes as must-make ASAP. Congratulations…. also aid in weight loss. Love your new book, but the link to the workbook chart from the book doesn’t seem to work. Thank you for calling that to my attention Jacqueline! (I had moved the page and forgot to update the URL.) All fixed. My copy should be here in the next couple of days; I’m endlessly excited! Even as a single twenty-something with zero children I’m obsessed with your first book and your site (and your first book is super stained from a Chicken Tenders Incident that came a little too close to burning my kitchen down, but we persevere!) Can’t wait to give these recipes a try! Congratulations and wishing you and your family all the best! This post is a wonderful example of why I read your blog, even though my kids are all grown up—love the warmth and loving feeling between you two and the inspiration to make something good to eat every day. Just got mine and can not wait to start cooking out of it. I love the design and all of the thought that went into it. Yeah! Thrilled to get mine in the mail yesterday! It is indeed lovable in all the right ways! I have my copy! So excited to tear through it, after the children are done tearing through my sanity. My copy came in the middle of the afternoon yesterday, I made the homemade mac and cheese last night, not making the bechamel sauce was awesome – my husband, my 6 yr old, my 12 yr old and his friend devoured it (oh, and me too.) Thanks Jenny. Getting ready to take the 30 day challenge. Reason #4 = genius. I’ll use that on my husband. Received my copy, skipped straight ahead to shrimp roll recipe and made it. We all inhaled it! Not sure if kids would go for it. Absolutely delicious, and I did not miss the point! Will read whole book, I promise. I’ve been staying up WAY too late the past two nights pouring over this book. It is awesome – everything you have said it was – and filled with countless recipes I can’t wait to get into rotation! Thank you Jenny!!! Ordered mine yesterday! I can’t wait to get it! Congratulations – book is ordered! What I love about this post is one of the things I love about most about this site: how supportive your family is of one another. Good work, team! This is so exciting – I can’t wait to get my hands on a copy! Congratulations! !